With the 2015 Labor Day holiday now in the rear view mirror and the most popular portion of the boating season winding down (although many consider Autumn the very best time for boating) Grand Lake has now officially given lake enthusiasts 75 straight summers of water-related recreation opportunities on its 46,500 surface acres. 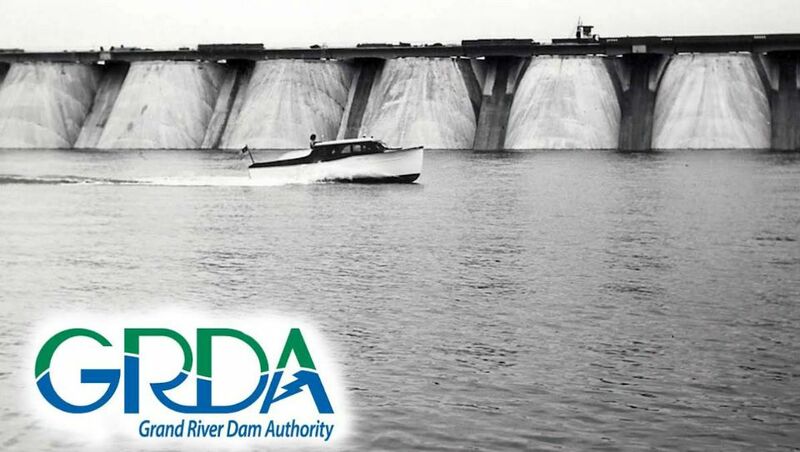 With the brand new concrete arches of Pensacola Dam shining in the summer sun in 1940, boaters were already taking to the waters of the new jewel of Northeast Oklahoma. Even though the lake was not quite full, the waters were already inviting and the foundation for a thriving recreation and tourism industry was already in place. On the water and around the shoreline, Grand Lake was already fulfilling an important economic development mission that continues to this day. Not only were the waters of Grand Lake a draw for visitors from practically day one, but they were also a draw for full-time residents, who moved into an area where both recreational and job opportunities (due in large part to the abundant, low-cost electricity now available from Pensacola Dam) were on the grow. Seventy-five summers later, the economic development – and the draw of Grand Lake – continues.